Machinery West are the number one stop in the South West for all your Agricultural supplies. Located in Donnybrook, Machinery West are your local dealers for New Holland Agriculture and New Holland Construction. Machinery West is also a distributor for Crendon Machinery, Croplands Sprayers, John Shearer & Pottinger machinery and the Husqvarna range of Ride-ons, Chain Saws and garden care equipment. 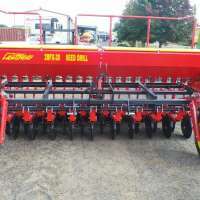 We import a huge range of Farm implements including Slashers, Offset Disc Ploughs, Rotary Hoes, 3PL Backhoes, Post Hole Diggers, Log Splitters and Wood Chippers and now a range of Hay Rakes and Tedders and Trailed Seed Drill’s. 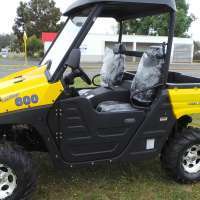 We also now stock a Range of Lightning UTV’s. With full workshop facilities on site, we service everything we sell and can even provide on farm servicing. Discover why our customers rate us the ‘best in the west’ for farm equipment, lawn maintenance machinery, spare parts and servicing.